Contact us to see how we can help you reach your business and training goals. How much easier would it be to have systems in place that help rather than hinder your ability to run a smooth business operation? And would you like having a great team of people working with you that are motivated to be and do their best every day? With over 25 years of working with business owners and business leaders, we understand what it takes to make you succeed. 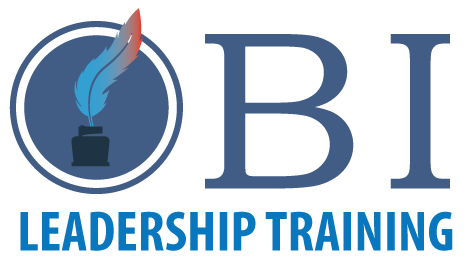 And we have developed OBI On-Site Training Programs to help and assist organizations to reach their business goals. We provide on-site training at your location – training programs that are tailored to your specifications, needs and objectives. Each training program is packed with practical guidance on how to organize your business, fine-tune your strategic business plans and processes, develop your financial know-how skills and discover the proven business solutions for building and growing your company. We can develop training programs designed specifically for you to reach your business target. We develop training programs designed to address your specific needs. Multiple Projects and Deadlines: know how to prioritize, delegate and systemize to get the best results. Organize and Simplify: learn real-life strategies and how to get the most out of your day; make positive changes to get immediate results. Focus: develop a master plan and learn to put it into action. Productivity: discover your most productive time and learn to control interruptions. Find time for you: to operate at your best capacity find time to recharge your batteries. Bookkeeping: learn to simplify your job of keeping records for revenues, disbursements, payroll, and more. Money Management: learn how to turn your business around and get your finances in order. Tax and Audit Strategies: find and act on legitimate tax opportunities that are right for your business. Know how to keep proper records to protect yourself in case of an audit. Budgets: learn how to manage your cash flow and stretch your dollars. Entertainment and Auto Expenses: learn the proper tax treatment of personal vs. company expenses. Financial Statements: read and analyze data on the financial statements – know the financial health of your business. Vision: have a clear, concise vision of what you want to achieve; develop a plan and get it start in the right direction. Project Cost: get a clear explanation, analysis, and advice on the importance of Job Cost – most valuable tool in estimating and evaluating the success of future projects/jobs. Bridging gaps: learn to bridge gaps across multi-cultural and multi-generational work force. Stressful Situations: how to emerge from a stressful situation with a positive perspective and renewed energy. Better business relationships: learn to negotiate win/win agreements and build better business relationships. Smart business leaders know the importance of gaining and sustaining a competitive edge in today’s increasingly complex business environment. Our job is to provide the “know how” to assist you in improving your organization’s productivity and bottom-line results. We partner with you to help you reach your business and training goals.